Today, I would like to introduce a co-working space called “Necoworking”, opened last year in Suido-bashi, Tokyo. But first of all, what does “co-working” mean? Well, co-working is like sharing an office with those who have a similar working style, but really it is more than just that. According to Wikipedia, it is also “the social gathering of a group of people, who are still working independently, but who share values, and who are interested in the synergy that can happen from working with talented people in the same space.” Wow, it sounds cool 😉 Then what is “Necoworking”? In Japanese, ‘neko’ is cat. 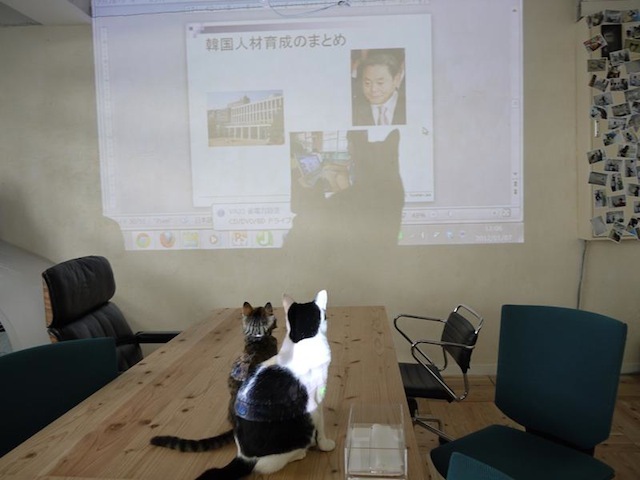 And Necoworking is a co-working office where cats live. There are two cats named King (a boy, black & white) and Coco (a girl, brown tabby). These cats have been adopted from an animal shelter run by Life Boat, a not-for-profit organization. When you get tired from concentrating on work, just go enjoy the company of the cats for awhile. This helps you to refresh your mind! 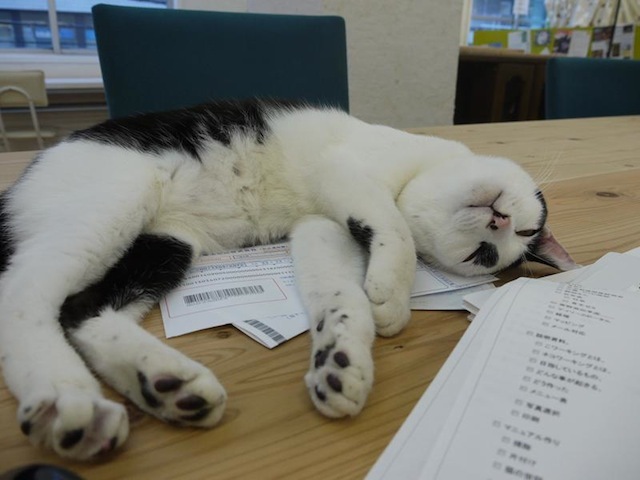 Cats are the most important element here, so the office itself is designed for their comfort. People working here should always be calm and peaceful, as to not cause unease in the cats. The office hours are 10:00 – 22:00. No overtime hours are allowed. 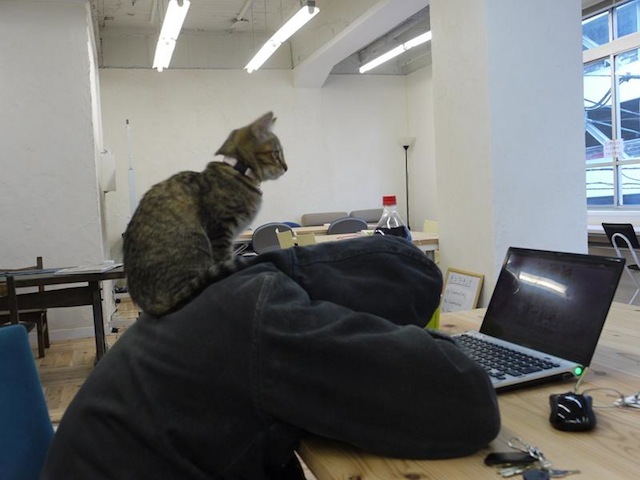 The Necoworking office understands that a comfortable space for cats must be comfortable for people, too.